Quantum key distribution (QKD) promises secure key agreement by using quantum mechanical systems. We argue that QKD will be an important part of future cryptographic infrastructures. It can provide long-term confidentiality for encrypted information without reliance on computational assumptions. 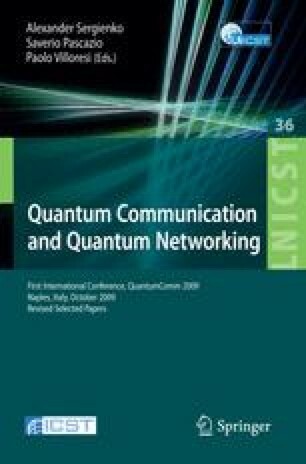 Although QKD still requires authentication to prevent man-in-the-middle attacks, it can make use of either information-theoretically secure symmetric key authentication or computationally secure public key authentication: even when using public key authentication, we argue that QKD still offers stronger security than classical key agreement.